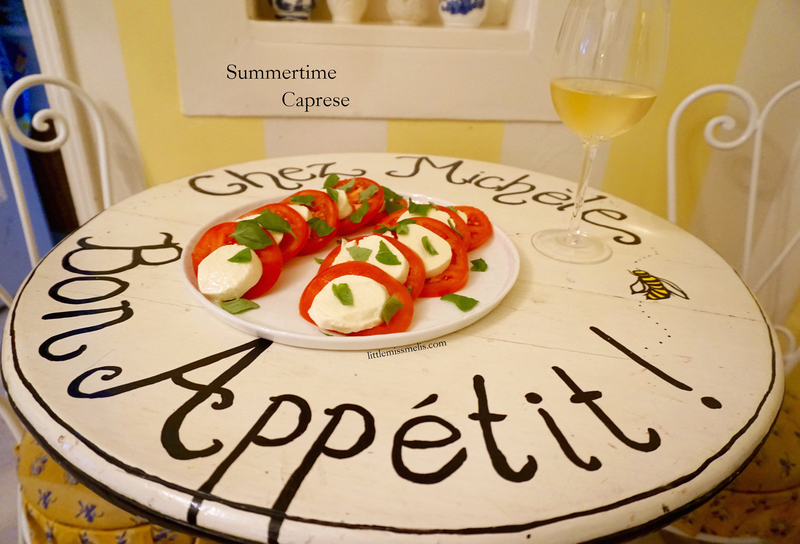 To make a Caprese you only need three ingredients: Tomato, Basil, & Mozzarella. 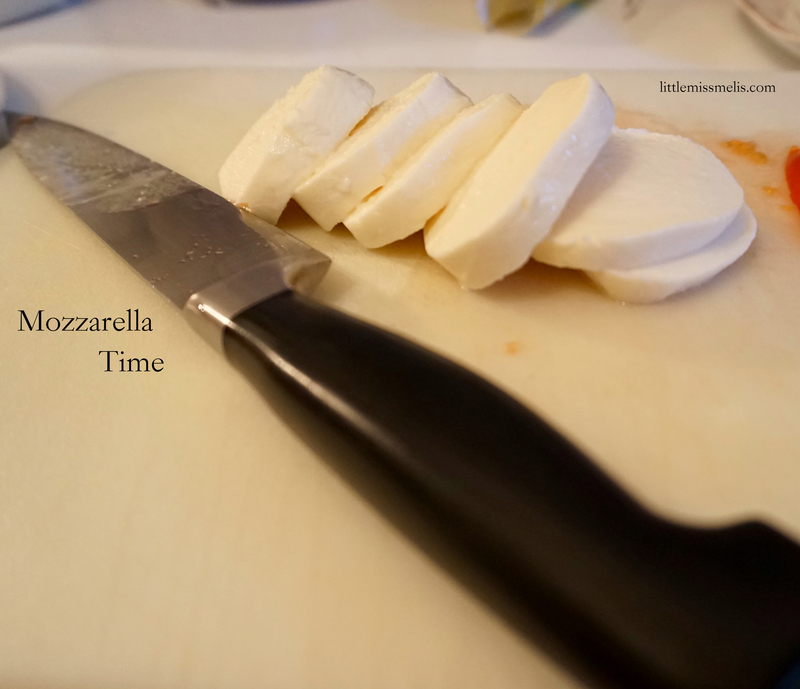 Simply slice the tomato & mozzarella into thin uniform slices. 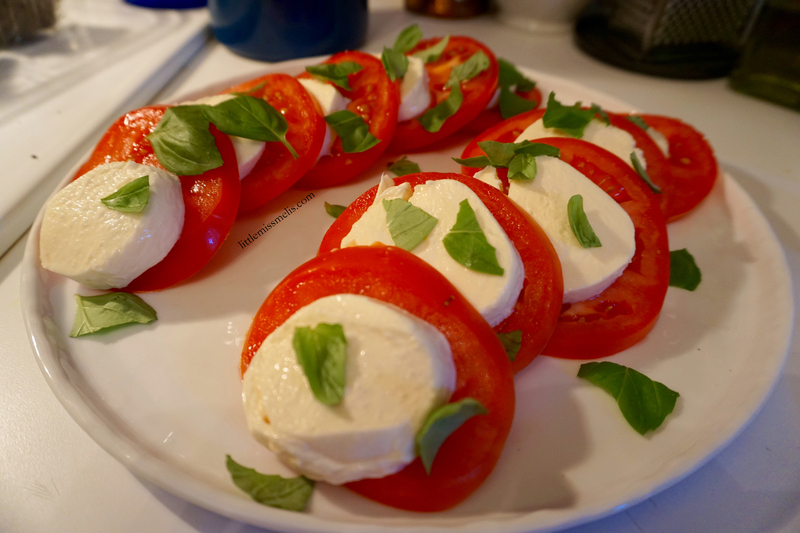 Arrange the sliced tomato and mozzarella on your serving dish as desired. Then you can either tear up or slice up the basil to add on top and voila! 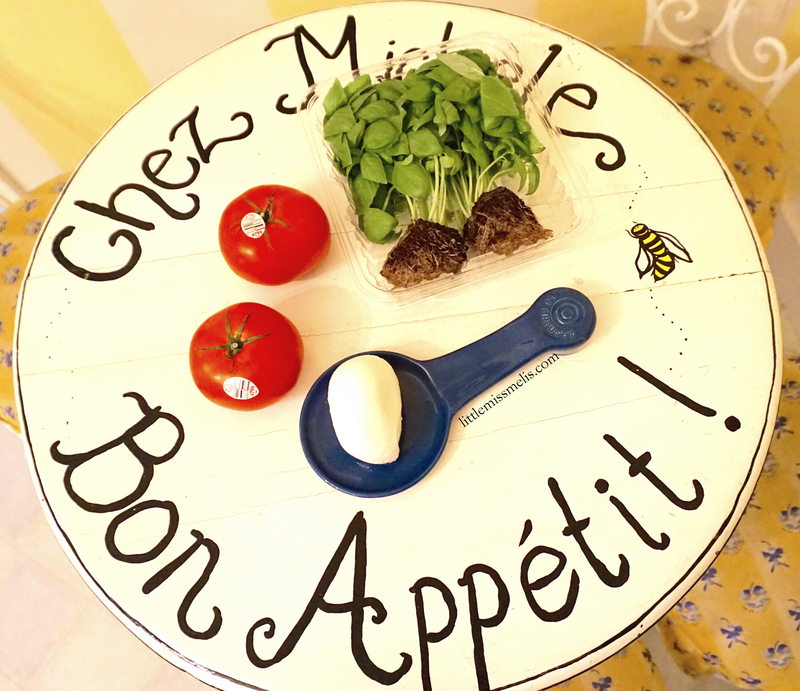 A beautiful, super simple, and delish dish ready to go!